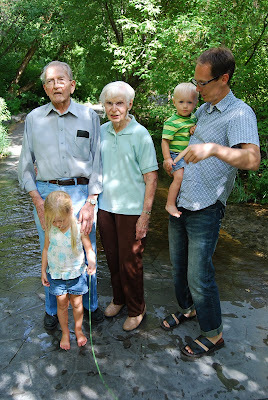 I've been following California midwife Maria Iorillo's blog Women in Charge for several years. She recently arrived in Haiti and is writing about her work with Midwives for Haiti. In Day One in Hinche, she describes her first day working in the Hinche Maternity Ward. It's hard to read--the lack of basic health care supplies is astounding. The hospital in Hinche doesn't even have a bathroom. Laboring women have to provide their own bucket for elimination, catching blood & fluids from the birth, and holding the afterbirth. If a woman has a postpartum hemorrhage, she has to supply her own IV fluids and tubing. $50 will buy enough medication to stop postpartum hemorrhage 10 times. $250 will pay a month's rent for our prenatal clinic in Hinche. $1,500 will educate a skilled midwife for a rural village. $2,500 will supply a village midwife with prenatal vitamins and antibiotics for one year. $10,000 will pay the yearly salary, room & board, medications and supplies for a skilled midwife. $30,000 will pay two midwife instructors for a year. 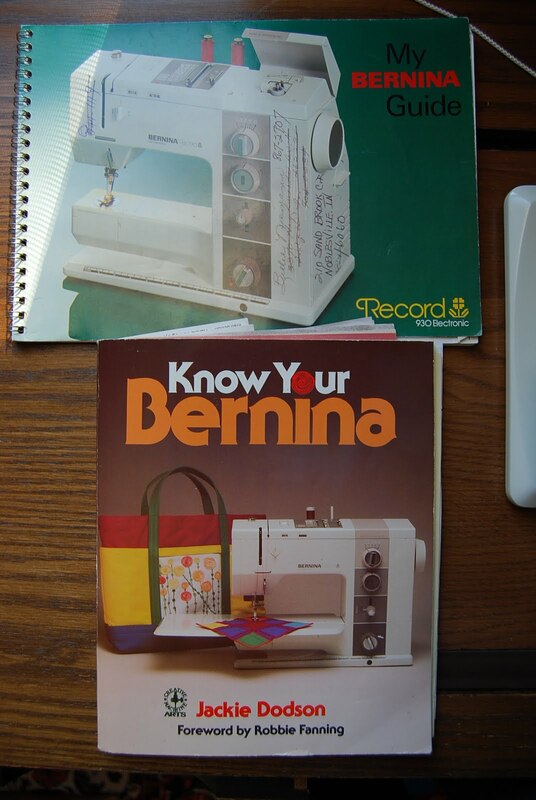 I just purchased a Bernina Record 930 and am so excited that I can hardly think of anything else. Until yesterday, I'd been sewing on a computerized Brother cs-6000 that I bought new (reconditioned) 3 years ago for $140. The Brother was okay for lightweight fabrics, but could not handle anything remotely heavy duty. 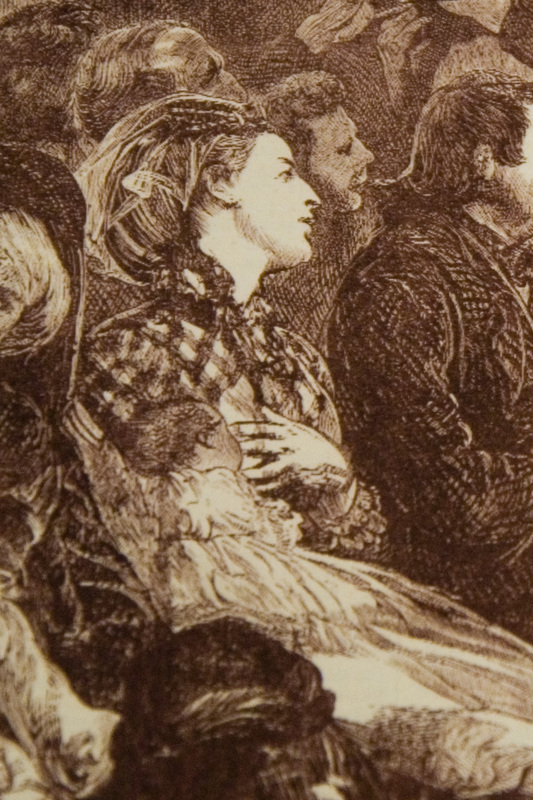 It struggled with medium-weight linen and deerskin and cotton twill. Denim or cowhide were unthinkable. It often was unable to sew through the layers of pleats in the ring slings that I make. 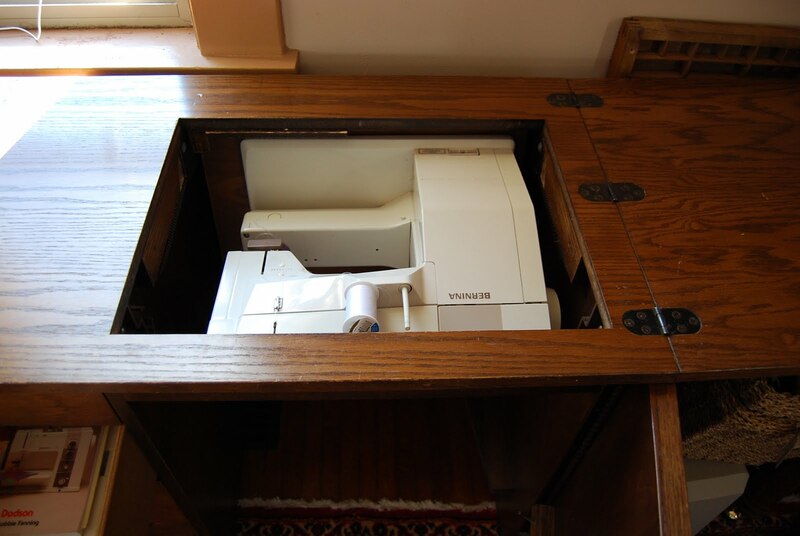 I've had to use my 1940s-era White Rotary machine when my Brother failed. The White is a powerhouse (I found it for $13 at an antique store, and it came with all the original accessories and carrying case), but it only does a straight stitch. My Brother has seized up inexplicably several times over the past three years. Then yesterday, it refused to sew at all. 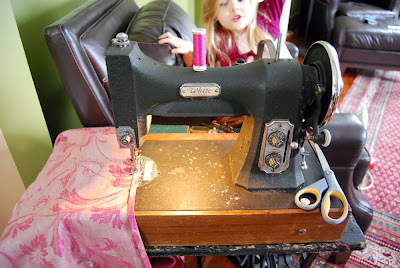 After just one stitch the thread would snarl and tangle and the machine would shut down, refusing to move another stitch. I cleaned the machine and could see nothing at all obstructing the gears, yet the machine would not sew. I took it to our local sewing machine repair shop, only to find that the starting fee for a tuneup was $60. I didn't want to spend lots of money repairing a mediocre machine, so I decided to look for a new machine. I wanted something mechanical and all metal. No computerization or complicated electronics. Something that could do, at minimum, straight stitch, zigzag, and a few decorative stitches. I wanted a machine that could handle heavy cowhide or denim without a hiccup. I wanted a machine that people raved about and that they were using decades years later without a single problem. I browsed two furniture consignment stores in town. 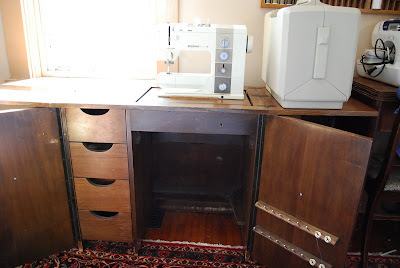 Both had old sewing machines with cabinets for around $50, but one only did a straight stitch and the other only straight and zigzag. I hopped on Craigslist and found numerous old Singers, starting at $10 and up. Then I saw an estate sale listing a Bernina Record 930 and my rader started beeping. I read several reviews of the 930 and became convinced that this was the machine meant for me. I inquired about the price and blinked a few times at the response. Let's just say that it cost the equivalent of what I earn sewing 20 slings. That's a lot of sewing. Okay, so I guess I'll let you know the price: $500. Yikes! For a machine that was made from 1982-89, they still command a very high price. 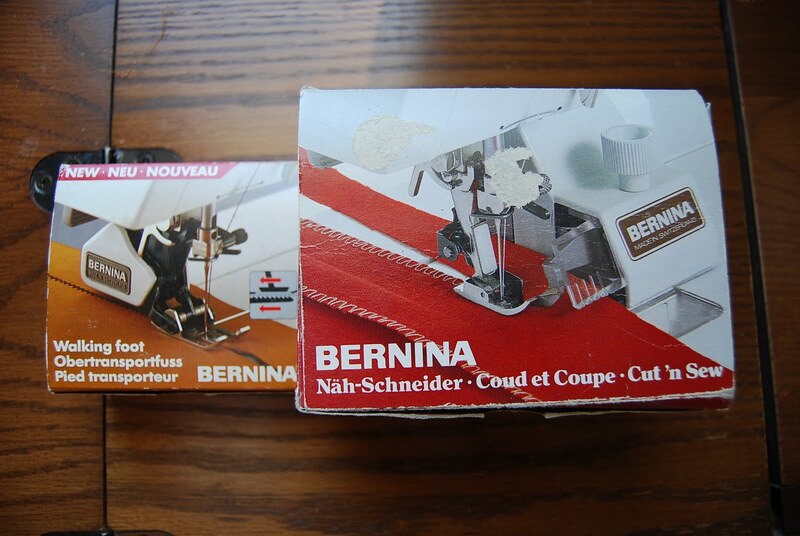 I did a nationwide search on Craigslist and found that the Bernina 930 usually sells between $600-1,000. And that's just for the machine and basic accessories. The one I was looking at had the machine, all original accessories, original owner's manual, Bernina sewing guide, a walking foot, a cut & edge foot, carrying case, wood sewing cabinet with lifting mechanism, and (unknown to me until I purchased it) at least $100 of sewing supplies. 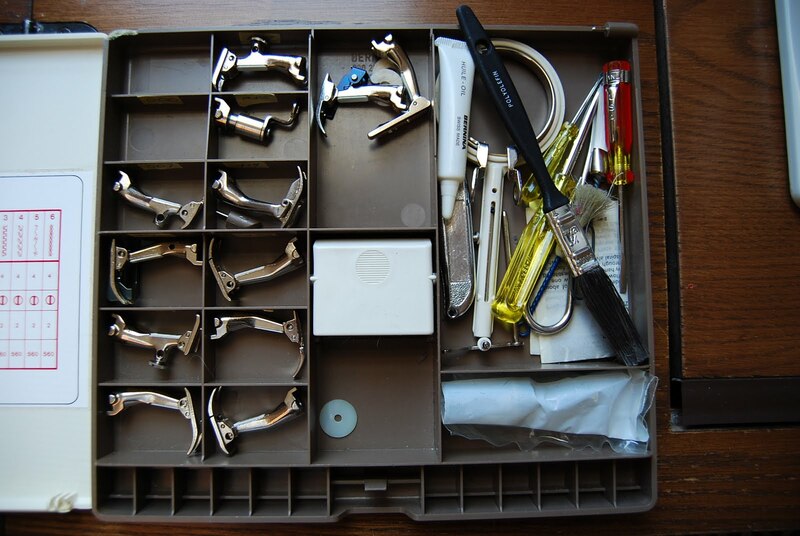 The only thing missing was the knee lift mechanism, which allows you to raise and lower the presser foot hands-free. I headed out as soon as Eric was done with work and made the hour-long drive, hoping that no one else had bought it yet. Luck was with me. 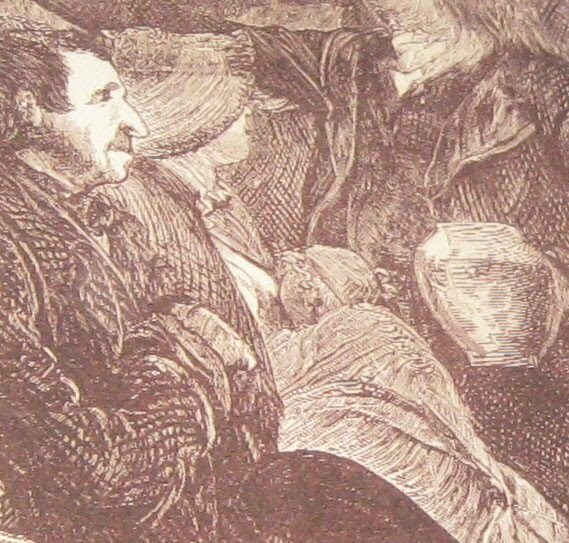 It was an estate sale for a woman who'd died. Judging from her house and belongings and sewing room in particular, she was meticulous and had very good taste. I almost bought some of her stylish 1940s-era hats and furs and nightgowns, but resisted the temptation...except for 2 pairs of cotton gloves that I just couldn't pass up. It sews beautifully and has all the features I could ever need. Yet it's all mechanical, which means that (unlikely) repairs will be simple and easy. It purrs along like a...like a...well I don't know cars well, but if I did, I'd compare it to some high-performance sports car that is less about show and more about the essentials: craftsmanship, durability, extreme precision, and above all, power. So here she is, in all of her vintage 1980s glory. 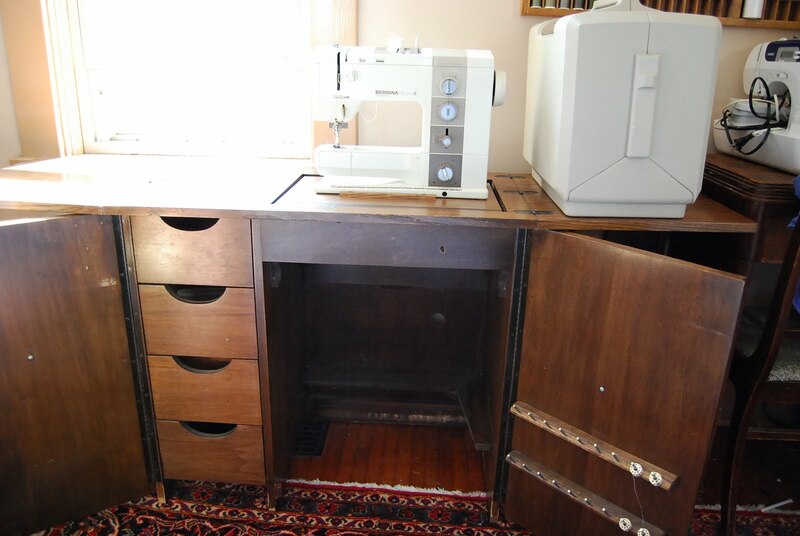 The machine folds down into the cabinet, and the tops fold up over the hole. A lifetime worth of sewing machine needles, bobbins, and Olfa blades. 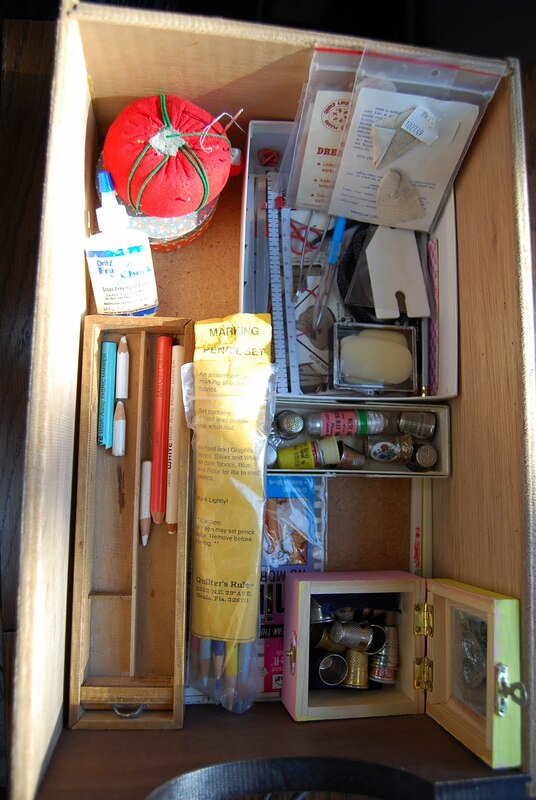 Drawers full of thimbles, tailor's chalk, marking pencils, pins & pincushions, rulers, seam rippers, and various other handy sewing notions. I even found a pair of Gingher featherweight thread snips that I can wear around my neck when I'm sewing! No more searching for my scissors (which are usually on the other side of the room) when I need to snip threads. 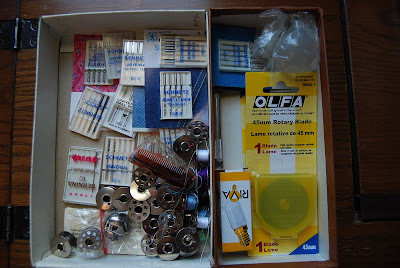 More quilting, embroidery, upholstery, and hand sewing needles than I could ever hope to use. 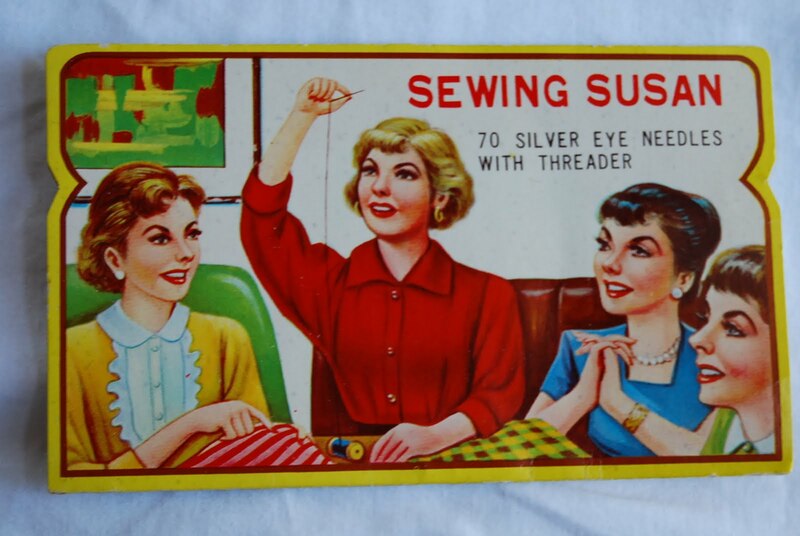 Sewing Susan needles: pure vintage. Dio is 16 months and racing towards becoming a little boy. People who haven't seem him over the summer will remark on how different he looks, how they wouldn't have known it was him if I hadn't been there. I think he looks the same, but that's because I'm around every day. 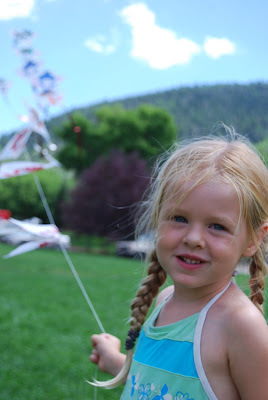 It's strange, and a bit bittersweet, to look at pictures of my children when they were little babies. They look like strangers to me now--Zari especially--even though I was sure I had memorized every feature. You know, these kind of moments. Illustration by Heather Cushman-Dowdee of Mama-Is. I saw it at the Motherwear Breastfeeding Blog. Here's a rundown of our day--it gives you a good idea of what Zari and Dio are up to. 6:30 am: Dio wakes up. I go in and nurse him, in the hopes that he'll go back to sleep. Doesn't work, so we get out of bed at 7:15. Potty and then breakfast. 7:30 am: Zari wakes up and joins us for breakfast. Dio eats a bowl of cereal and then homemade yogurt. He wants to do it himself, so I give him the bowl and spoon and let him have at it. He's very happy and very messy. Eric gets ready for his 8am class (first day of school!). He teaches all 3 classes on Tues & Thurs. Zari and Dio play in a big cardboard box and help me hang up laundry on the clothesline. Dio goes in the shower with me, since he's a walking yogurt bomb. Well, technically he takes a bath in a small rubbermaid bin that sits in the shower--we don't have any bathtubs in our house. Zari hops in too. We get dressed, brush teeth and hair (Zari hasn't had a hair brushing freakout for at least a week, thank goodness), put shoes on, and pack a few snacks for the morning's excursion. I load both kids in the 1-passenger stroller and head out on a gorgeous, sunny day. First we go to library story time. On the way home we stop by a sewing machine store and a few furniture consignment stores. I give the kids cheese and crackers to keep them content during all this errand-running. When the food runs out, Dio starts trying to climb out of the stroller. We have a few freakout moments, especially when I tell Zari she has to walk the rest of the way and she melts into a crying puddle on the sidewalk. I cheer her up and she decides that walking isn't so bad after all. But then Dio wants OUT. Eventually I undo his buckles and let him stand up in the stroller and hold on for dear life. He thinks this is pretty cool and decides to stop screaming. Both kids wake up at 3:30 pm. I was able to read for a while (fun page-turner called The Terror--great for going to the gym, because it makes the time go by quickly). We go outside and hang up diapers on the clothesline, play on the swingset, water & pull weeds in the garden, and pick raspberries. Eric comes home briefly to change clothes, then heads back up to campus to play Ultimate frisbee. 5:30 pm: I fetch Eric from his frisbee game because I need to make a last-minute trip to a town an hour away to buy a sewing machine. He takes the kids and I hurry off, hoping no one else has bought the machine. They haven't. It is awesome. More about it later. I get back at 8:30 pm. Dio is already in bed. Zari helps us set up the new sewing machine and finds lots of treasures in the new sewing desk: antique thimbles, a wooden pencil case with scroll-top lid, and a magnifying glass. I tell her that if she goes to bed and sleep all night long, she can play with her treasures first thing tomorrow morning. We snuggle and talk and finally I tell her that I need to go downstairs. She reluctantly lets me go. Most nights we end up snuggling with her until she falls asleep, but she was a bit too wired tonight. Today was very good in terms of Zari-Dio conflict (or lack thereof). Some days Dio shrieks almost constantly, usually because Zari is taking away his toys or pushing him over. But if we keep busy enough, the kids have too much fun to get frustrated with each other. I still can't believe that I'm having another baby. I've thought about this pregnancy for probably a grand total of 5 minutes! Once I feel the baby moving and listen to the heartbeat on my fetoscope--haven't tried yet, but it should be audible soon--it will feel more real. I also have my first prenatal visit next week. 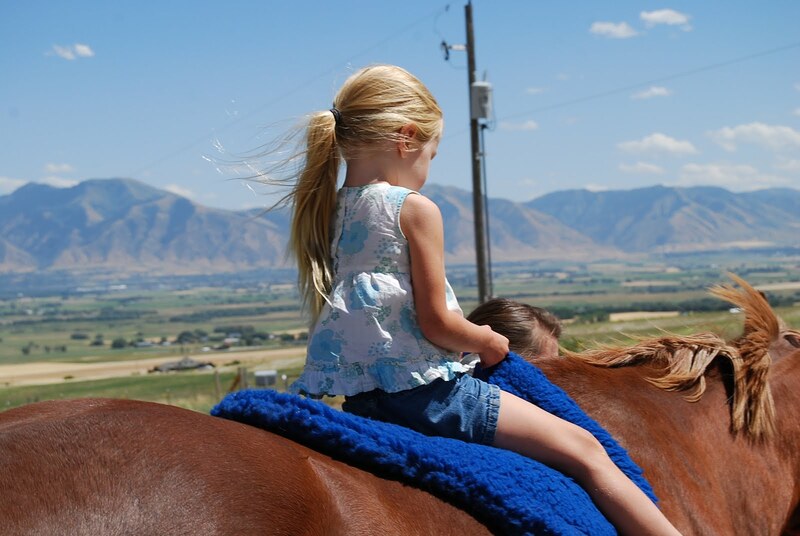 Zari's first time horseback riding, at my aunt's house in Cache Valley. I've often heard women talk about having "pregnancy brain" or "placenta brain"--those momentary (or lengthy) bouts of forgetfulness or absentmindedness due, supposedly, to being pregnant. Just tonight, in fact, I was asking an acquaintance of mine to remind me to pick her up for a playgroup tomorrow, if I didn't show up on time. "I have a pretty bad memory," I said. "Oh, especially right now," another friend of mine said knowingly, meaning because I was pregnant. "No, not because of being pregnant--just because I have a bad memory for appointments!" I said. Both women were very surprised to hear that I'd never experienced pregnancy-induced forgetfulness. Never anything of the sort. My brain functions just as well when I'm pregnant as when I'm not. But I've heard so many women talk about placenta brain and pregnancy brain...and I'm wondering: is there any sort of information on this phenomenon, besides anecdotal experiences? Does pregnancy brain really exist, or is it just a convenience excuse for normal memory lapses that happen to occur during pregnancy? Below are several high-resolution images of the 1871 LDS Sacrament Meeting I posted about a few days ago. 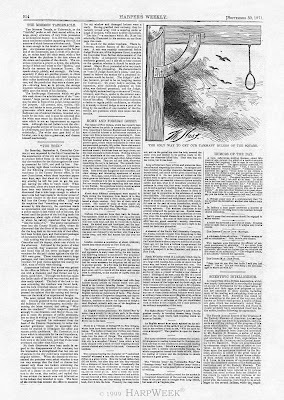 The last two come from the original illustration and explanatory text in Harper's Weekly, Sep 30, 1871. My sister-in-law (remember her from her birth story Failure to Progress or Failure to be Patient?) 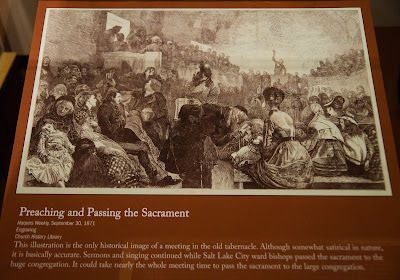 took this picture for me at the LDS Church History Museum. It's an illustration from Harper's Weekly of an 1871 Sacrament Meeting in the Mormon Tabernacle in Salt Lake City, Utah. 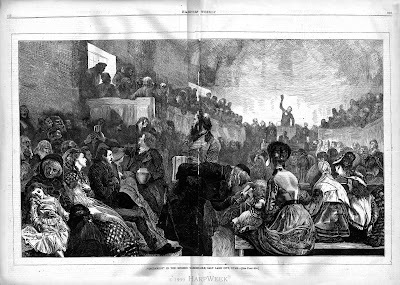 The double-page illustration which we give this week shows the administration of the "Sacrament," large pewter vessels, of which several may be seen in front of the pulpit, being used for the purpose. 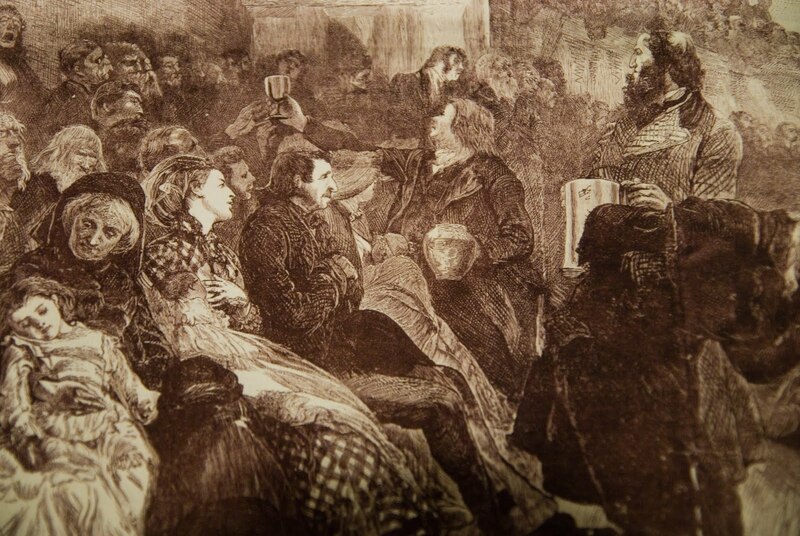 All present, men, women, children, and babies in arms, partake. 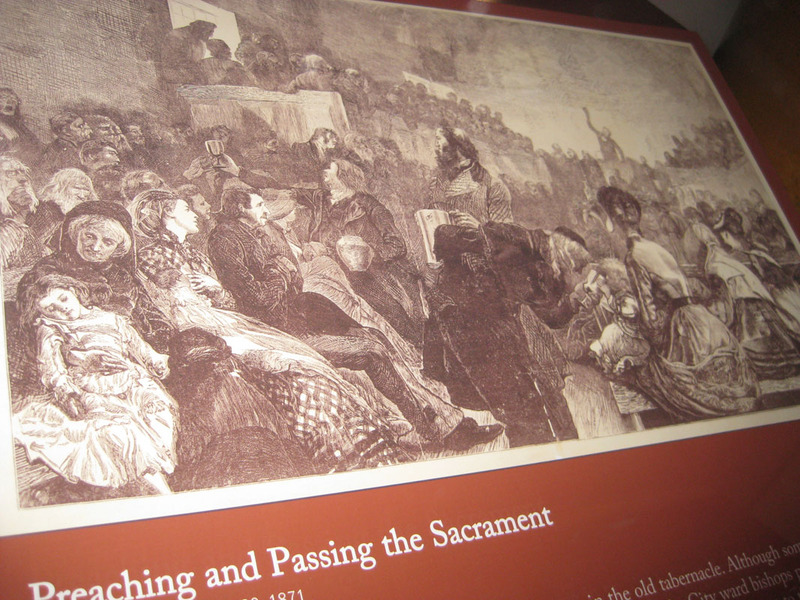 1) Public breastfeeding was accepted as normal in mixed company and during worship services. 2) LDS women breastfed in public without a cover or blanket. 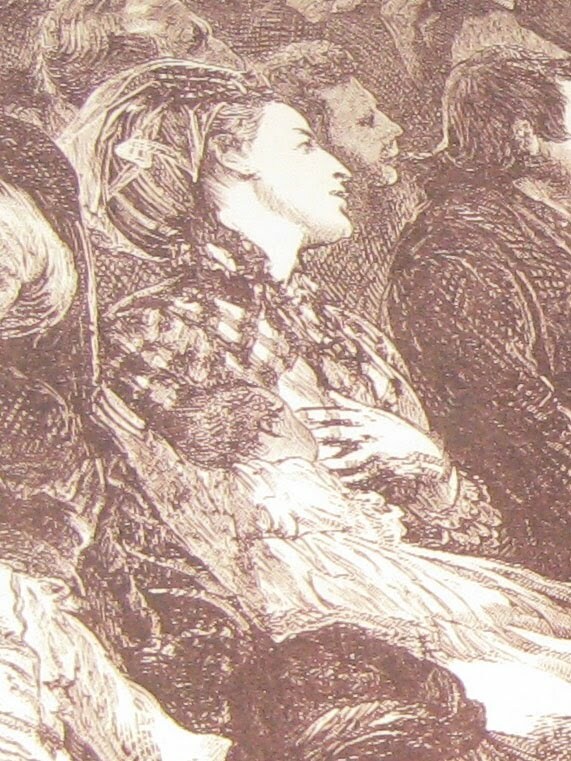 3) The norms of dress at the time meant women unbuttoned their dresses at the chest area to nurse. In the closeups below, you'll see dress opened, exposing the nursing breast. The illustrator seems familiar with the techniques of breastfeeding (or was just good at reproducing what he/she saw). 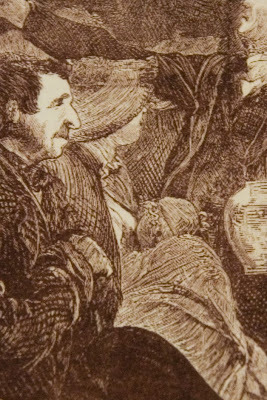 Notice the woman supporting her breast while her baby nurses, something I often do myself. 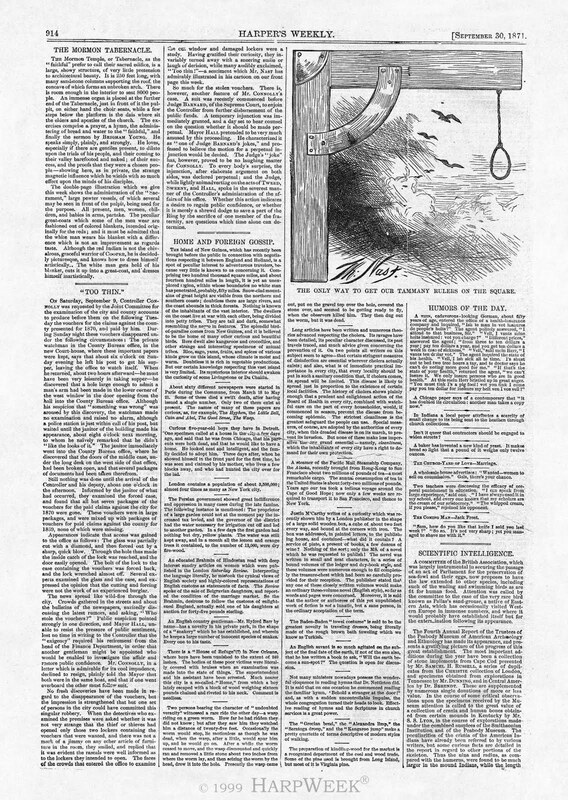 The engraving originally appeared in Harper's Weekly.Text describing the illustration is on the upper left column. 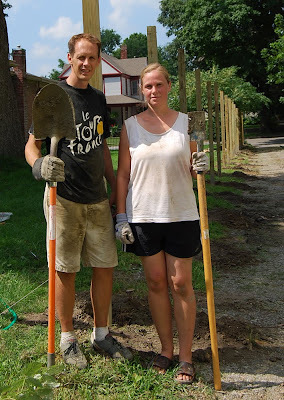 Fruit bed that wraps around the swingset: 2 honeyberries, 3 red currants, 3 gooseberries, 3 juneberries. 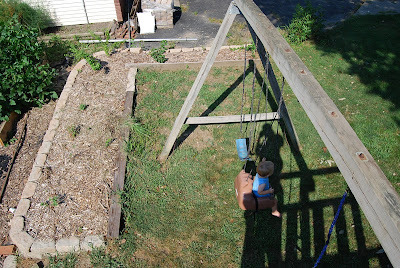 You can see my shadow--I'm standing on the top of the play house to take the picture. We also have a 4x10 bed right outside our kitchen door, with tomatoes, potatoes, & herbs. 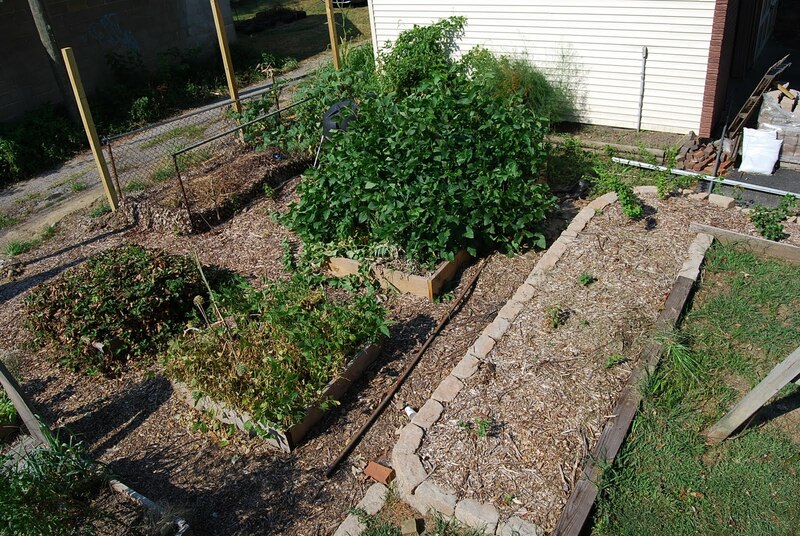 And lots of mystery melons and squashes in our compost pile & in the jungle behind our garage. I spotted an acorn squash plant but the rest I don't recognize. Things have been growing vigorously this season, but it seems I've harvested surprisingly little. Other gardener friends of my have made the same remark. My onions & beets were disappointingly small. My carrots, on the other hand, are long and straight and lovely. The beans & herbs have done well, while tomatoes and potatoes got the blight again. I saved most of the tomato plants with a copper spray, but the potatoes finally gave up the ghost. 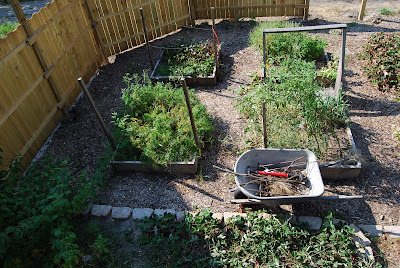 I need to harvest several of the beds and plant beets, kale, salad greens, spinach, and whatever else will grow quickly enough for a fall harvest. 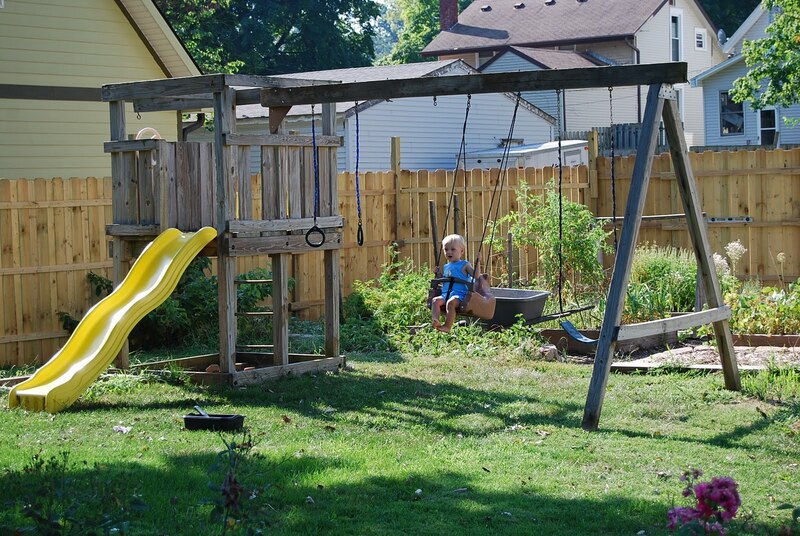 This last picture is a homage to Craiglist--$150 for the whole swingset, including delivery! There's an I-beam for a tire swing on the other side of the playhouse. Mexican sleeper terrorist anchor babies? Unnamed lawyer: "I know it's babies we're talking about, and it's hard to be tough on babies, but let's remember--we're talking about illegal aliens coming to this country for the purpose of birthing a child. Not because they love the kid, but because they want that child to provide them with the benefits of US citizenship." TV reporter asks Congressman Louie Gohmert: "Your theory is that Al-Qaeda will send a pregnant woman over here to have a baby and then start to train these babies to be terrorists? Is that right?" Congressman Gohmert: "Well it's not just a theory..."
Senator Lindsey Graham (R-SC): "Birthright citizenship, I think, is a mistake. We should change our constitution and say that if you come here illegally and have a child, that child's automatically not a citizen. They come here to drop a child. It's called 'drop and leave.' "
Every so often I come across an article that's so over-the-top that I can't not blog about it. This just in from Britain's Daily Mail: Planning a home birth? Sorry, but you're just selfish and reckless. It's a mother's argument about why women shouldn't give birth at home, based on her personal experiences giving birth. Nothing entirely new or even unreasonable in itself, but the author Liz Fraser takes a huge leap from explaining why home birth isn't the right choice for her to condemning and judging all women who choose home birth as reckless and selfish. And lots of other things. What really irks me about this woman's piece isn't her personal choice to birth in a hospital setting, and not even her conclusion that home birth, to her, seems too risky. It's the blatant lack of research and the self-righteous tone that make her piece particularly insufferable. Let's turn to the short piece of research she cites to back her claim that there is a tiny but increased risk to the baby at a home birth: the Wax meta analysis on home birth that's been making my Google alert on "home birth" go haywire for the past month. On the surface, this meta analysis seems fairly impressing: over 500,000 births in their data set and the news-grabbing conclusion that home birth "associated with a tripling of the neonatal mortality rate." The author obviously read no further than the news headlines, because a closer look at the Wax meta analysis reveals something else entirely. To come to the conclusion that home birth results in a 3x higher neonatal mortality rate, the study's authors eliminated around 95% of their data set, looking at only 9,811 home births--not hundreds of thousands. In addition, the 2002 Pang study contributed significantly to those numbers on neonatal mortality ("12 of the 18 neonatal deaths in normally formed newborns," according to Amy Romano of Science & Sensibility). 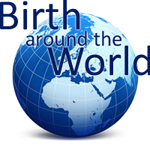 The Pang study was based on birth certificate data and included unplanned home births in its data. And one of the best ever--having a baby at home is selfish because the midwife gives you one-on-one attention for the duration of your labor! And I only have to look to all the doctors I know who have chosen to give birth in hospital to know it's the safest place to be. The other selfish aspect of a home birth is that it requires a fully-trained midwife to leave the hospital and give one woman her undivided attention for the duration of her labour, which can be 24 hours or even much longer....There is no mention of all the other women in hospital who might need the midwife's care during that time. Thought is given only to the right of the woman to choose to give birth wherever she likes. Never mind that one-on-one, uninterrupted care during labor is probably the safest kind available. And thus, in Fraser's reasoning, this should earn a mother gold stars for her concern about the baby's safety. Let's leave behind the talk of selfishness, or the mythological notion that home birthers care more about "The experience" than their babies' welfare. The author condemns home birth (which she clearly knows little about in any breadth or depth) with a flourish of her sarcastic, snarky pen. That smacks of both shoddy journalism and a constricted worldview. I'm thrilled to announce the launch of my new Second Womb Slings website: www.secondwomb.com! I've been working on the site with the help of my graphic designer cousin and a web developer who traded her programming skills for a silk and batik Ergo-style carrier. 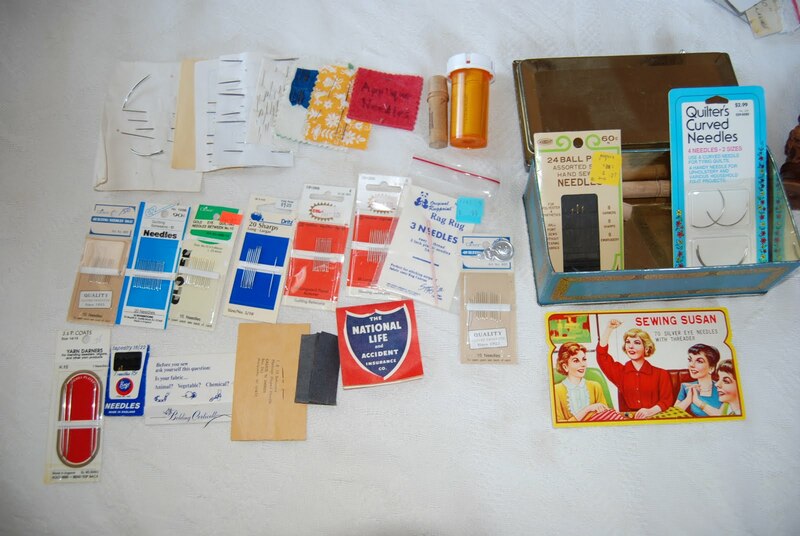 I've added lots of fabrics and a few new products, including DIY sling kits and gift certificates. We're finally back home for good, after being away almost all summer! We actually got home a day later than planned. Our flight home was overbooked, so we volunteered to be bumped. In addition to flight vouchers, we got to spend an extra night & day in downtown Salt Lake City, paid for by Delta Airlines. Tomorrow evening I'm giving a presentation about natural birth for C.H.O.I.C.E.S. Come join me at 5:30 pm at the West Lafayette Public Library! 90+ degree heat, high humidity, and swarms of bugs did not deter us from installing 200 feet of privacy fence before we left for a family reunion last Thursday. Here we are mid-project. One of the days had a heat advisory and a heat index of over 100. Around 3 pm we were positively wilting and wondering "What's wrong with us? Why can we hardly move?" 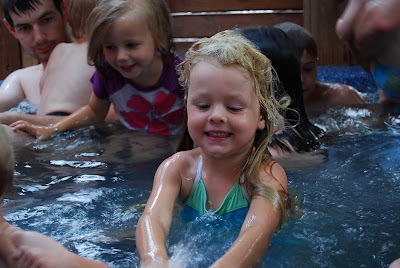 Then we figured out how hot it was and called it a day.